Read in Spanish, the English translation being The Old Gringo. A bit of historical background might be useful here. Ambrose Bierce (1842-1914) was a well-known American journalist, essayist, and editorial writer who traveled to Mexico in 1913 during the Mexican Revolution. He was rumored to have joined the rebel forces of Pancho Villa and was never heard from again. Countless theories of his ultimate fate have been propounded over that past century. 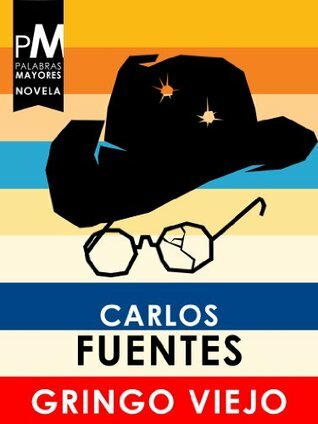 Carlos Fuentes used Bierce’s character (never named, always called only gringo viejo) as the centerpiece of his novel. The story has three main characters. One is the old gringo, a veteran of the American Civil War, journalist for the Hearst newspaper chain, father of two sons both of whom committed suicide, who has come to Mexico to die, convinced that to die in a war is preferable to dying from anything more trivial or from suicide. The second is Tomas Arroyo, the self-appointed general of a splinter group of Pancho Villa’s army, a autocratic and self-aggrandizing mestizo who is the illegitimate son of a peasant woman and Senor Miranda, the owner (now fled with his family) of the ranch where most of the novel’s action takes place. The third is Harriet Winslow, a young white American woman who has come to tutor the Miranda children, only to find them gone. She is from a privileged Washington DC family, but her father, a military officer, has disappeared in Cuba during the Spanish-American War, he himself having been an enigmatic figure. Fuentes uses these three individuals to explore a number of themes, reflecting and refracting their personalities and interpersonal relationships through the image and metaphor of mirrors. The relationship of each character to each of the others continually evolves, and issues of nationality, politics, imperialism, sexuality, mortality, love, justice, and social class are all probed. Fuentes’ use of language is adroit and his perspectives psychologically perceptive. The resolution (and often non-resolution) of issues and relationships is as creative and thought-provoking as it is ambiguous and startling. I found the novel fascinating. Let me make a suggestion for those reading literature in other than their own primary language. I have a modest but evolving and improving facility in several languages, and I have found it most satisfactory to download a foreign language work to my e-book reader (in my case a Kindle) with dictionary and translator apps. Being able just to touch a word, phrase, or sentence that is unfamiliar or confusing and immediately having a translation available enables one to avoid the cumbersomeness of trying to hold a book open with one hand and leaf through a dictionary with another. The reading process is far easier and more enjoyable this way. And I have found that my reading ability improves rapidly and painlessly using this approach. Sign into Goodreads to see if any of your friends have read Gringo viejo. Wonderful review that serves as a good introduction to this book, Bruce. Thanks for sharing. My pleasure, Jibran. You are entirely welcome. I agree entirely with your comment about using the foreign language dictionaries that are available on eReaders. I think that many people will be pleasantly surprised by how well they can read foreign languages when they can get the meaning of a word by simply tapping a finger on the screen. As far as the Old Gringo goes, I must say that it frustrated me. I found that Fuentes was defining Mexico and Mexican culture relative to the US not in absolute terms. We Canadians are of course even worse. We do not know what we are but have a great need to feel different from the Gringos to the South. I confess that I didn't approach Fuentes' work so much as an attempt to define national or cultural definitions as simply to explore and illustrate different perspectives of different characters, illuminating individual differences between them that were as much the products of their unique individual histories as of their nationalities. And those individual perspectives and characteristics were continually evolving, ever fluid and responsive to the changing circumstances in which they found themselves and to their ever-varying perceptions. I was particularly fascinating by the way that each one came to define and relate to each of the others in ways that revealed their own inner history, psychology, and needs. One example among very many was Harriet's projecting her images and feelings about her father onto the old gringo. So in essence I approached and perceived the work more as a mirror in which each character viewed and refracted his and her own self-understanding than as an exercise in ethnic or national characterization. Does that make sense to you? I'm sure it is only one way of experiencing the novel, and no doubt there are many equally valid alternatives.